The elephant is one of the largest and strongest creatures that roams around planet Earth today. Highly respected in Asia and Africa, the elephant is renowned for its nobility and its exceptional emotional intelligence. Below, we’ve put together an elephant tattoo dictionary, explaining the meaning behind each one of these tattoo designs. Band of Elephants: female elephants are known to travel in herds of up to 400. 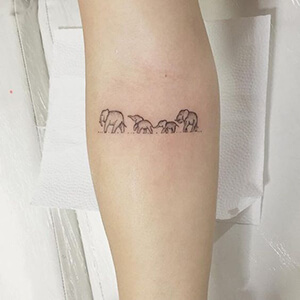 Hence, the band of elephants tattoo design represents family, community, and maternal instinct. 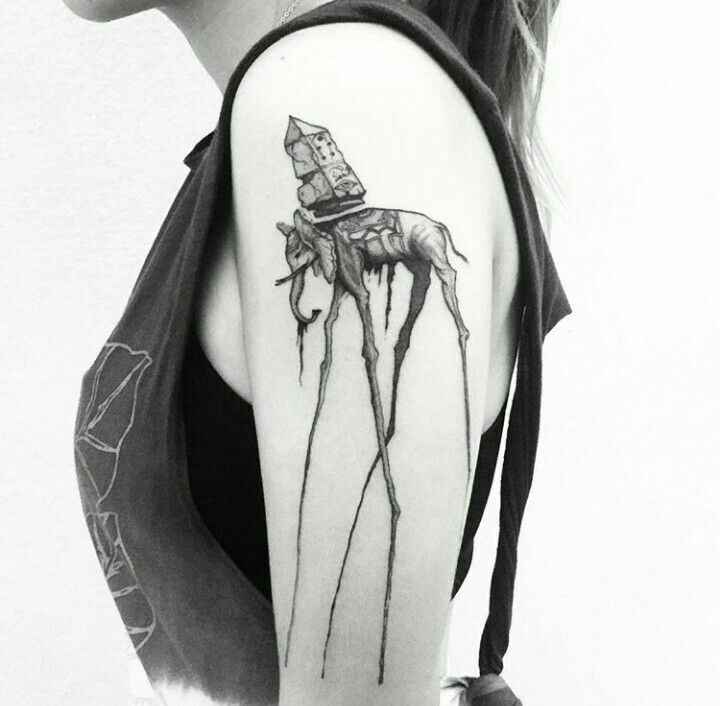 Dali Elephant: this elephant tattoo design is based on surrealist painter, Salvador Dali’s paintings. As a tattoo design, the Dali elephant represents man’s impossible and unrelenting efforts to fulfill his or her desires. 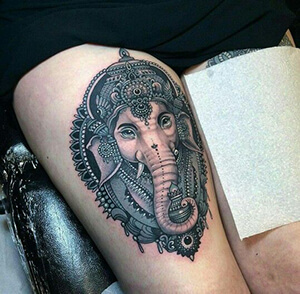 Lord Ganesha: a powerful symbol of success in the Hindu religion, Lord Ganesha has come to represent wisdom and shrewdness as a tattoo design. Pink Elephant: the expression ‘seeing pink elephants,’ once referred to a hallucination experienced in an altered state of consciousness. 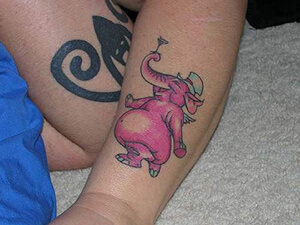 As a tattoo design, the pink elephant symbolizes experimentation and a desire for fun. 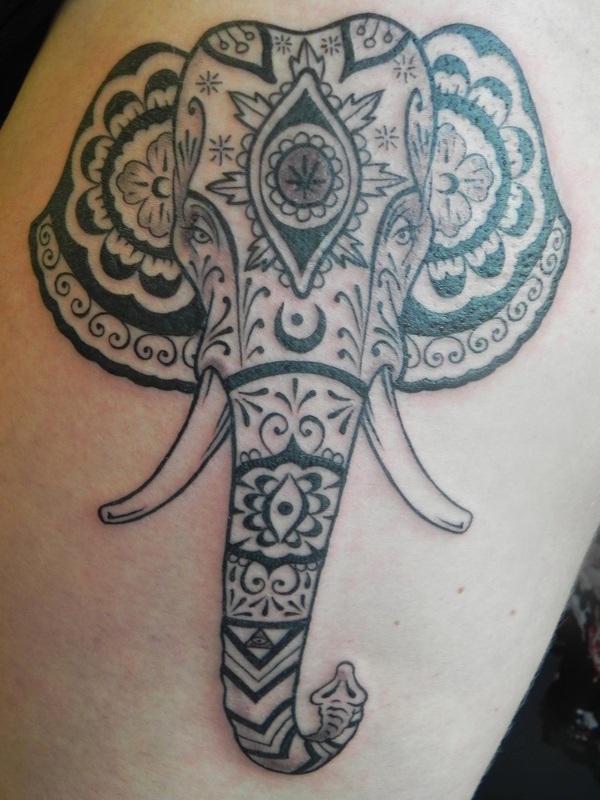 Polynesian Elephant: this tribal patterned elephant is popular in Native American and Haida traditions. 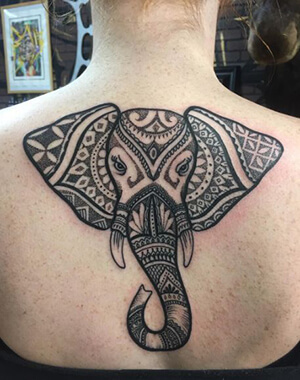 As a tattoo design, the Polynesian elephant symbolizes a deep connection to nature. White Elephant: a prevalent symbol in Buddhism, the white elephant is considered sacred because of its presence in Buddha’s mother’s dream. She dreamed that a white elephant had appeared in her womb, and this transformed the white elephant into a symbol of wisdom and fertility. Elephants are unique creatures that have rich symbolism. 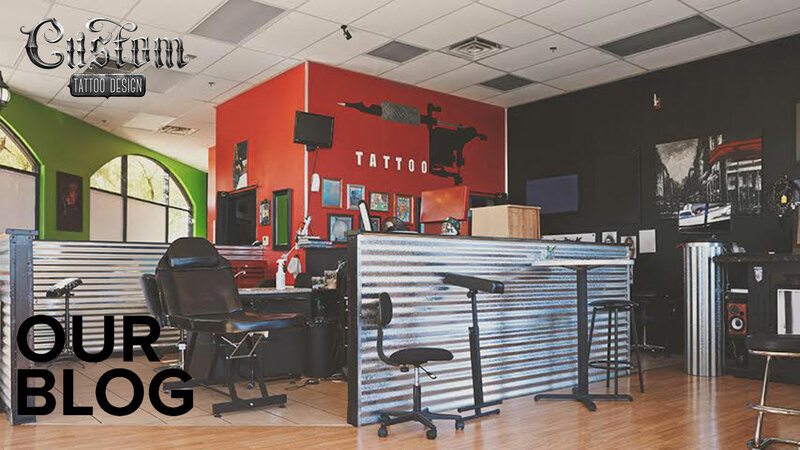 They represent everything from success and wisdom, to power, strength and peace, making them an ideal tattoo design choice. 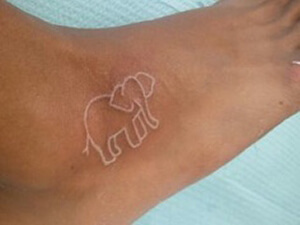 If you know of any other special elephant tattoo designs, let us know about them in the comment section below!